Each care package is made with items that we feel were helpful to us when our babies were in the hospital. Below is a list of items we try to get in each package. Items may vary depending on what we have available. Baby Legs - A way to keep baby’s legs warm in the frigid temps of hospital ICU’s. 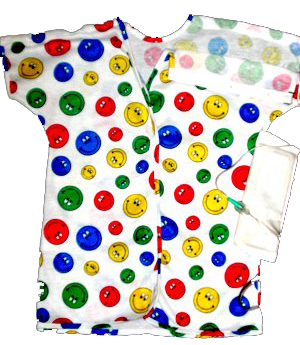 Side-snap shirts / onesies - Snap onesies make it easy to dress a baby while allowing the monitor wires to fit in between the buttons. Notepad and Pen - To record all of the important information. Pacifiers - Some babies are not able to eat right away. The pacifier helps them keep their sucking reflex which is very important for when they are able to eat by mouth. Moisturizer - With all of the hand sanitizing, moisturizer is a must for mom. Hand Sanitizer- It is so important to keep our kiddos germ free. EZAXCESS Hospital Gown - Our heartfelt gratitude to Kathy Spykstra, a fellow heart mom. Kathy's son, David, was born with HLHS in 1997. Kathy's company donated these awesome gowns in his memory. 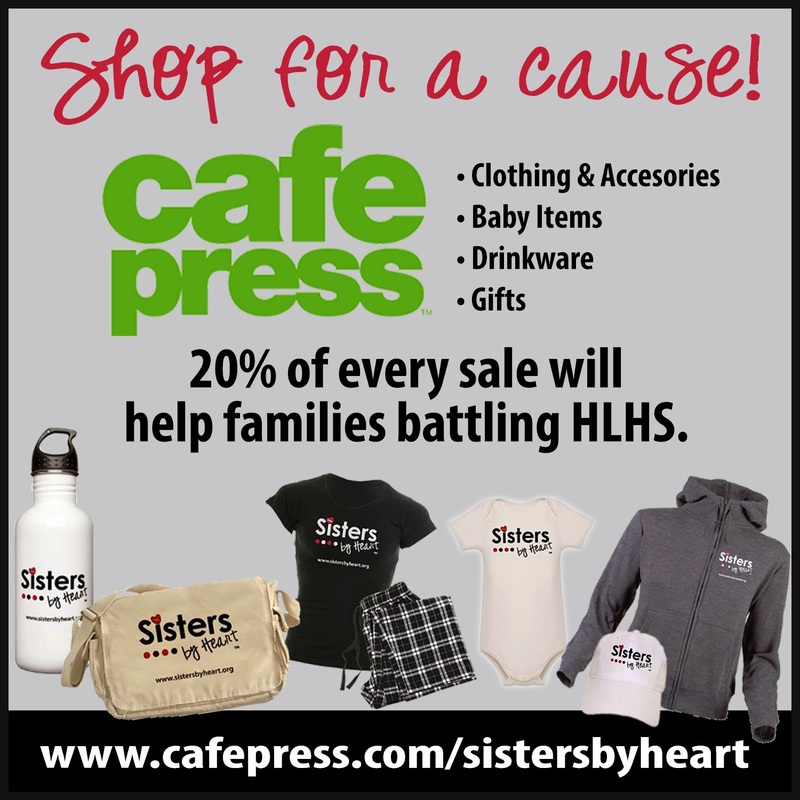 If you are able to donate any of these items please contact us at info@sistersbyheart.com. To make a monetary donation please click on our Secure Pay Pal link on the right hand side of our page. I want to thank you for sending me the care package! My youngest son Karson was with me when it came in the mail! He was super excited and everything he pulled out of the box he turned to my tummy and said " Easton look what the mommies sent you!" Thank you again it really gave me an idea of what I will be needing! Please let me know if I can help as well other new heart families. We would love to pay it forwards! My due date was in April now they are saying March. I will keep you guys updated on my Eastons journey! I wanted to thank you for the package we received from Sisters by Heart yesterday, all the stuff is adorable and helpful. I especially loved the legwarmers, they were so cute! My family and I are so thankful for your support and understanding. Thanks again and good luck with everything!